Technique: opaque watercolor, ink, and gold on paper. Size: H: 31.5 W: 23.5 cm. Kept in Smithsonian Museum of Asian Art. This is a portrait of Ali-Mardan Khan who was a Kurdish noble at the court of Safavid kings in Iran. 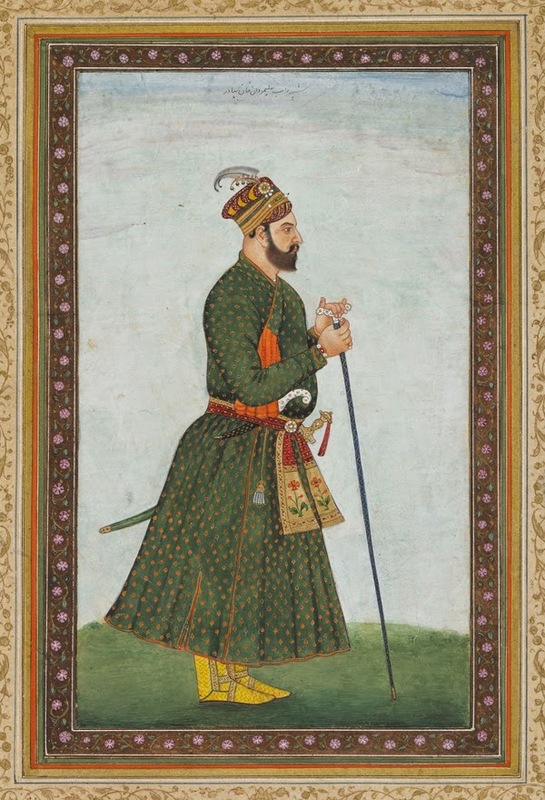 After surrendering the city of Kandahar to the Mughals in 1638, he became a well recognized figure at the Mughal court in India. This portrait is apparently done after his death.